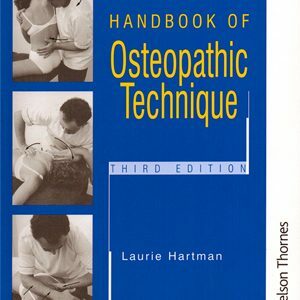 Laurie Hartman has been practising as an osteopath, and teaching osteopathy since 1964. He first published his handbook of Osteopathic Technique in 1983, and it has since become accepted as the leading text in its field. It has been widely read by members not only of the osteopathic profession, but also many other professions world-wide. During that time Laurie Harman has travelled more and more widely to teach, helping undergraduates and postgraduates to refine existing skills and to widen their technical repertoires. He continues to be much in demand wherever people wish to learn and practise manual therapeutic techniques at a high level of skill. Having worked with him frequently since 1984 I have observed how Laurie’s approach has continued to evolve, his enthusiasm for osteopathy has remained undimmed, and that his desire to help others achieve their full potential is far from exhausted. Furthermore, he has retained the determination and the ability to go on learning himself: he is a powerful advocate for osteopathy, and a marvellous example to those who would practise it. This new and revised edition of his book is an excellent development of the earlier work, and an appropriate testimony to one of the leading technicians of his, or any other, generation. Laurie has included a greater number of techniques, many of them ‘specimens’ that he has ‘collected’ during his worldwide teaching. He has also expanded the text incorporating sections on different approaches to technique, their backgrounds and clinical application. The reworking and augmenting of the photographic contents will greatly assist the reader in analysing techniques on a step by step basis. The expanded sections on technique selection, modification and application will enable readers to benefit from Laurie’s huge experience of clinical practice and teaching, and the new format will assist in its use as a genuine working text from which everyone can learn something. I am very pleased to have been invited to write this foreword, and have been privileged to work with someone who is quite simply unique. 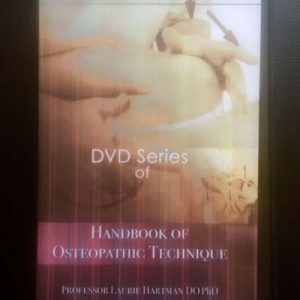 It is not easy to be a good teacher of osteopathic technique, and it is particularly difficult to produce a textbook that is genuinely useful to students of a wide range of backgrounds and levels of skill. Laurie Hartman has for many years been one of the world’s leading technicians and teachers, and this book confirms his ability as an author.